A strange name for a strangely shaped lure. 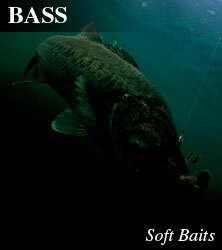 However, this soft body lure is designed to pop and slide the same as a standard ABS body popper. The perfect body design made to throw up into tight cover for instant topwater action. The slim cylindrical profile imitates shrimp, and the single tail allows the body to roll when action is applied to the lure. Its single weight design produces a sharp popping turn action and wide slide. Despite its slim profile, the hook points are cleverly situated to be protected from snags and structure while still providing strong hook ups. The unique 3D body design and original hook utilised in the popular NF60 have also been implemented in the EBIGAERU for reliable and strong hook ups. Perfect for targeting around laydowns and skipping under overhanging trees EBIGAERU makes the most of its touchdown sound to attract and call up fish in open water as well. EBIGAERU allows anglers to actively fish pockets in deep cover unlike ever before!